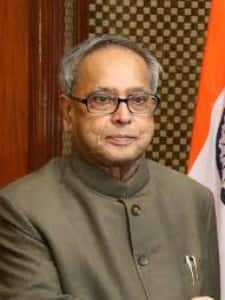 Pranab Mukherjee (full name Pranab Kumar Mukherjee) is the 13th (July 2012 - current) President of India. A famous Indian politician and a Congress party member, he has served different roles in his political career that spans six decades. He has held the positions of Finance Minister, External Affairs Minister, Defense Minister and is considered as one of the most senior Congress leaders. He became the President of India in 2012 after defeating PA Sangama. He is also considered as the principal architect of the ascension of Sonia Gandhi as the Congress Party's president in 1998. Mr. Mukherjee was born on 11th December 1935 in Mirati village of Birbhum district in West Bengal to Kamada Kinkar Mukherjee and Rajlakshmi Mukherjee. Pranab Mukherjee's father was a freedom fighter and a member of the Congress party. After completing his college from the Suri Vidyasagar College in Birhum district, Pranab completed his M.A. in History and Political Science from Calcutta University. He later also earned an LLB degree from the Calcutta University. He started his career as an upper-division clerk in the office of Deputy Accountant General of Post and Telegraph. In 1963, he started teaching political science at the Vidyanagar College and then was associated with Desher Dak as a journalist. His first step in politics began after he actively campaigned for V. K. Krishna Menon in the 1969 by-election of Midnapore. Mrs. Indira Gandhi, the then Prime Minister of India, recognized his potential and inducted him as the member of the Congress party. She later made him a member of the Rajya Sabha in July 1969. He was re-elected to Rajya Sabha in 1975, 1981, 1993 and 1999. In his tenure at the Rajya Sabha, he held many important positions like Deputy Minister for Industrial Development, Shipping & Transport, State of Finance, Revenue and Banking. From 1978 to 1980, he represented as the Deputy Leader for the Congress Party in the Rajya Sabha. He became the member of the Congress Working Committee in January 1978 and was a part of the team until 1986. After Indira Gandhi's assassination, Pranab Mukherjee believed that he was Indira's successor and he wanted to lead the party and started forming groups within the party. After this he was expelled by Rajiv Gandhi which led him to form his own party titled Rahtriya Samajwadi Congress in West Bengal. However, he joined the Congress Party again in 1989 after solving issues with Rajiv Gandhi. He again became the Congress Working Committee Member in August 1997 and remained as its member till June 2012. He became the Deputy Leader of the INC in the Rajya Sabha in 1979 and was the appointed Leader of the House in 1980. He retained this office till 1985. He also became the Finance Minister of the country and remained in the position from 1982 to 1984. From 1987 to 1989, he was the chairman of the All India Congress Committee's Economic Advisory Cell. From June 1991 to May 1996, Pranab Mukherjee was appointed as the Deputy Chairman of the Planning Commission and from February 1995 to May 1996, he became the Union Cabinet Minister of External Affairs. From 1996 to 2004, Pranab Mukherjee was the chief whip of the Congress Party in Rajya Sabha and he also became the General Secretary of AICC from 1998 to 1999. Pranab Mukherjee is known for playing an important role in the appointment of Sonia Gandhi as the party president. He was first elected to Lok Sabha in the 2004 elections. After being elected to Lok Sabha, Pranab Mukherjee was handed many important portfolios in the UPA Government. He became the Leader of Lok Sabha in June 2004 and was in this post till June 2012. In May 2004, he was appointed as the Defense Minister of the country and he remained in this post until October 2006. Later he was handed over the Ministry of External Affairs and had played an important role in the Nuclear Deal. Later he became the Finance Minister of the country in January 2009 and was at the post till May 2009 until the general elections of 2009. In the 2009 general elections, he was elected as a member of Lok Sabha for the second time. 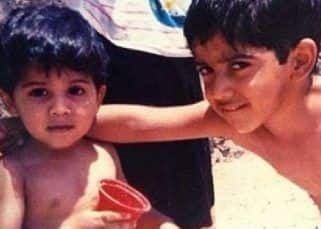 After the elections, he was again appointed as the Finance Minister and remained in the post till June 2012 when he resigned to follow his aspirations to run for the office of President of India. He was the nominee of UPA for the post and contested elections against the NDA nominee Mr. P.A. Sangama. He won the election with a large margin. He was appointed as the 13th President of the country on 25th June 2012. Pranab Mukherjee was married to Surva Mukherjee (17 September 1940 - 18 August 2015) and they have a daughter and two sons. Pranab Mukherjee has been awarded with many awards and recognition and was honored with Padma Vibhushan, the second highest civilian award of India, in 2008. He has also been honoured with the Bangladesh Liberation War Honour, the second highest award of Bangladesh in 2013. He has also been honoured with the Grand Cross of the National Order of the Ivory Coast.